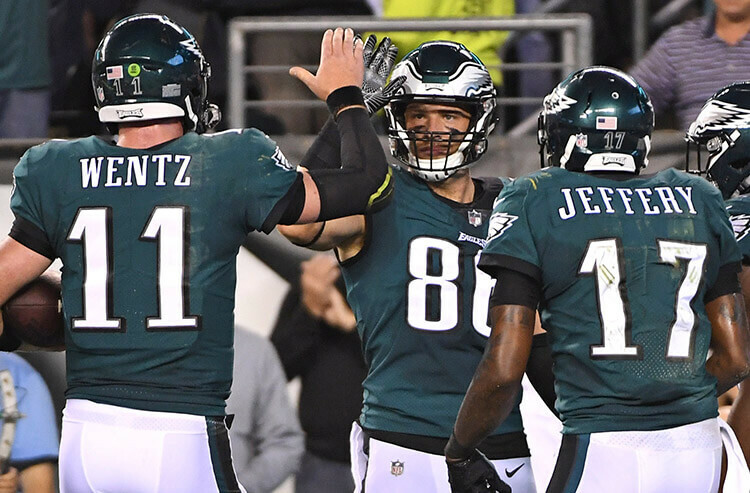 An early West Coast kickoff with a big pointspread move highlights a seven-game NFL preseason slate today. 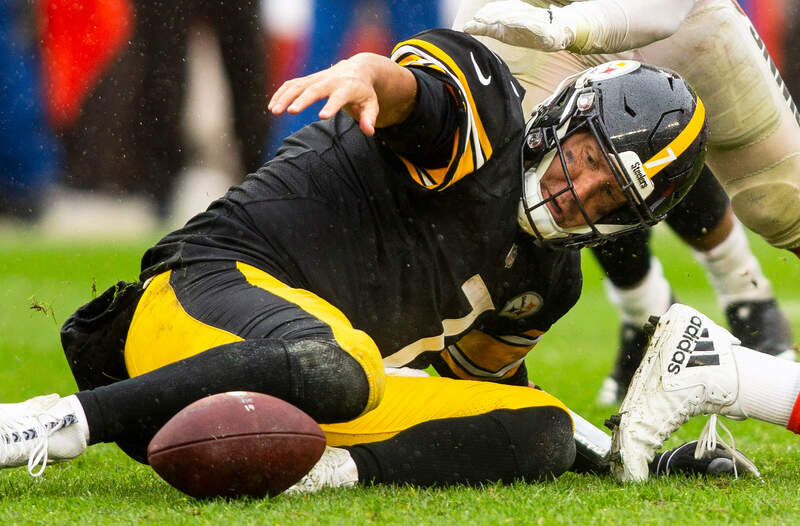 Covers checks in on the action and odds movement for a few of those contests, with insights from Nick Bogdanovich, director of trading for William Hill US in Las Vegas. Los Angeles, which won the NFC West last year, didn’t have starting QB Jared Goff in the lineup last week, and he’s not likely to see much action in this 4 p.m. ET start either. 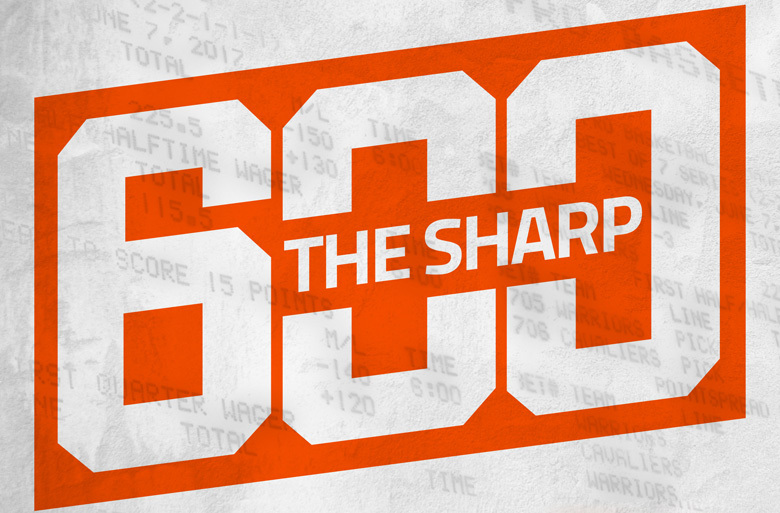 The Rams opened exhibition play with a 33-7 loss at Baltimore as a 3-point road underdog. Oakland nabbed a 16-10 home victory over Detroit as a 3-point chalk to open preseason play. Starting QB Derek Carr saw limited snaps last week and might not see much more this week, especially since these same two teams open the regular season against each other, albeit in Oakland. San Francisco claimed a 24-21 victory over Dallas as a 3.5-point home fave last week. But QB Jimmy Garoppolo played just one possession in that game, and he’s not expected to see much of an increase in this 8 p.m. ET kickoff. 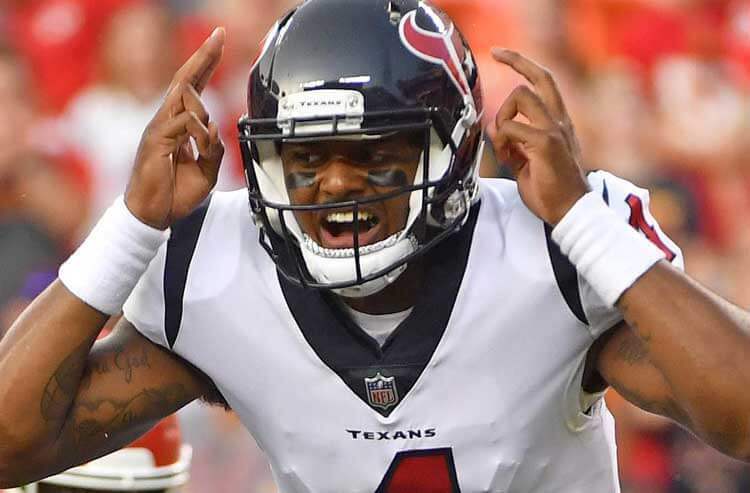 Houston got Deshaun Watson back on the field for a short stretch in Week 1 of the preseason, after he lost much of his rookie season to a knee injury. The Texans beat Kansas City 17-10 as a 2.5-point road pup. If Watson and the starters play today, it again likely won’t be for long. “There’s been some sharp money for Houston to push it to 3, and it’s going higher. There are some 3.5s out there,” Bogdanovich said. San Diego has gotten a lot of offseason hype and will have starting QB Philip Rivers on the field for his first preseason action, in a 10 p.m. ET meeting. The Chargers opened the exhibition schedule with a 24-17 loss at Arizona catching 3 points. Seattle lost to Indianapolis 19-17 last week, though starting QB Russell Wilson did lead a first-quarter touchdown drive before heading to the sidelines. The Seahawks’ starting unit should see again see some action, perhaps a little more than last week.